Royal Flush is out the legendary 703 cow. 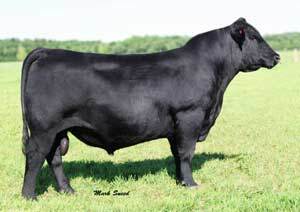 Royal Flush bull progeny averaged just short of $6000 at the 2010 Bull Sale for Topline Farms. Royal Flush is extremely sound and adds tons of belly to trimmer designed females. Royal Flush is destined for greatness!